High five! I mean, ten! Last week, I updated Gonna Catcha to v.0.7.4. It was pretty much a knee-jerk response to some issues I encountered when playtesting it last night at Bento Miso. It added an option to toggle a fullscreen mode, to hide your desktop and other windows behind black while you’re playing, and a few bugs fixes. Unfortunately, being a knee-jerk response, I didn’t test it properly and there are a couple of bugs with the fullscreen mode, though the bugs don’t interfere with normal game operation. 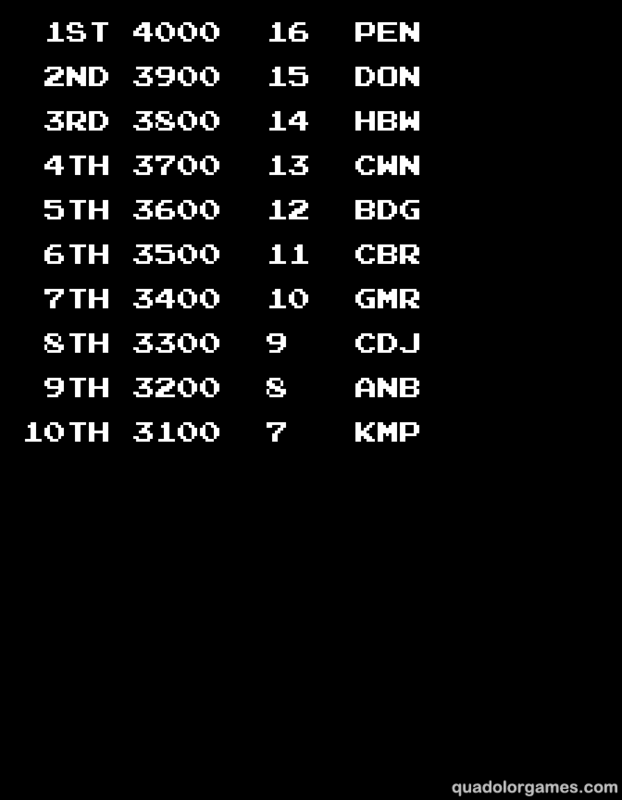 In addition to keeping track of the top ten scores, it will keep track of the other standard high score information: player initials and the highest round reached. I am considering a second, separate high score table for co-op mode, which will also keep track of which character the player used. Well, that’s all I can do to make this sound bigger and more important than it really is. I’ll be doing another meatspace test this Friday. I should really try to finish this before then. As someone work mainly works with vectors for higher-resolution artwork (i.e. not low-res retro sprites), I am pleased by this turn of events.